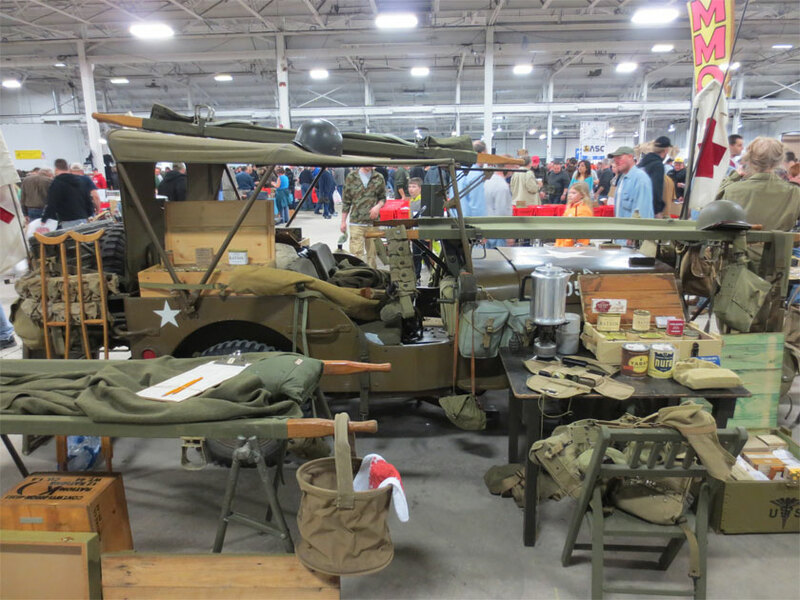 We were invited a while back to display my ’41 Willys MB at the big gun and militaria show at the Oaks Expo Center near Philly. It seemd like a good marketing opportunity and a chance to hang out with some old friends so I jumped at it. 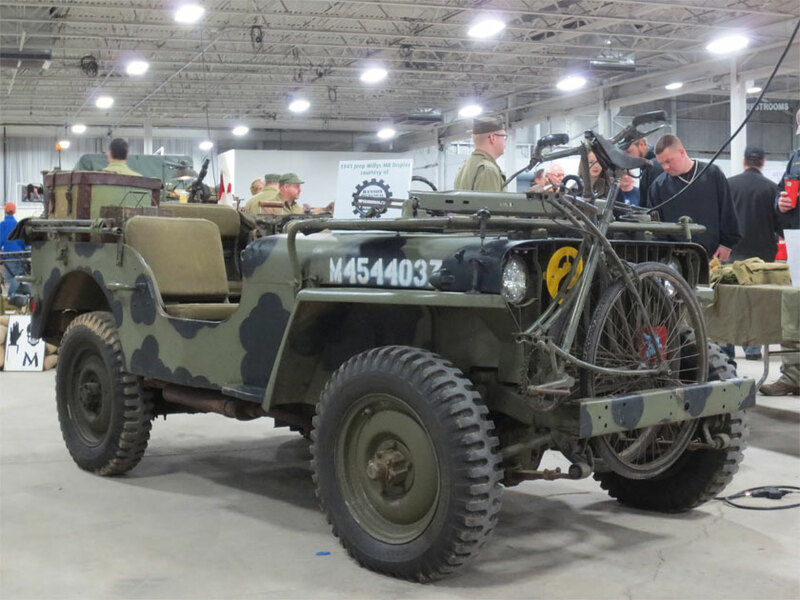 There were four WW2 vehicles on display. 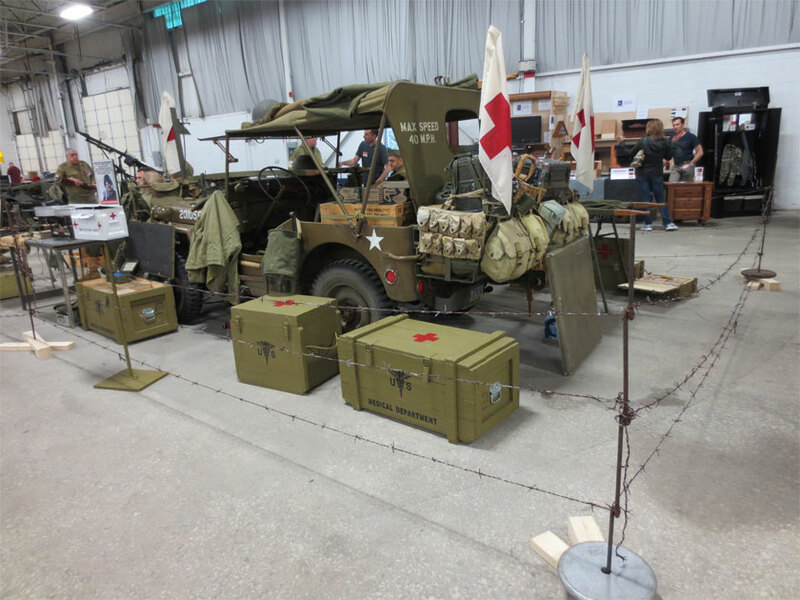 Three WW2 Jeeps and Gary with his Dodge Weapons Carrier. 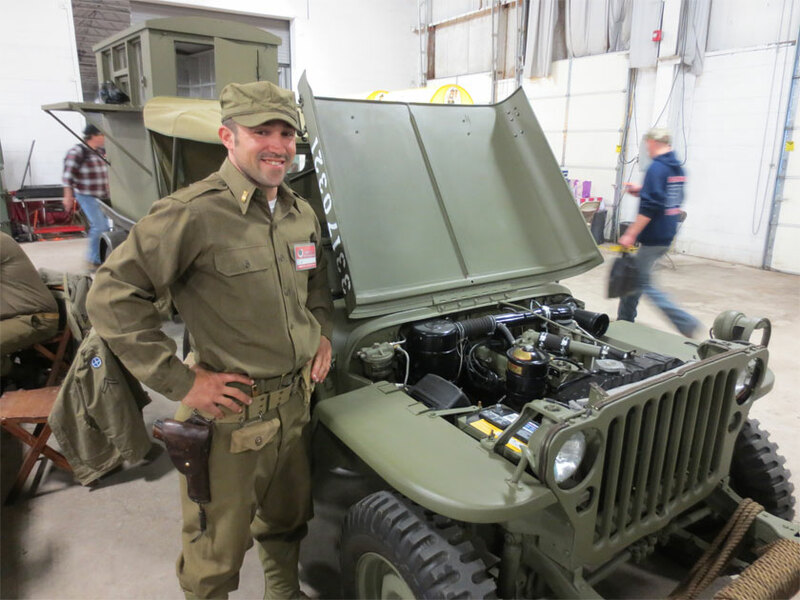 Jim Cherry was setup with the Willys MB that he and his father immaculately restored. I originally procured this for them and the job they did on it is one to be proud of. Jim’s grandfather was a pigeon man in WW2. They were still using pigeons to deliver messages and JIm has pulled together quite a collection to display what was done and how the pigeons were cared for. It is one of many little known aspects of WW2. Using photos and other information they had Jim and his father built a copy of the portable pigeon coop that was mounted in trailers. Also note the large sign for Graeme park next to the trailer. 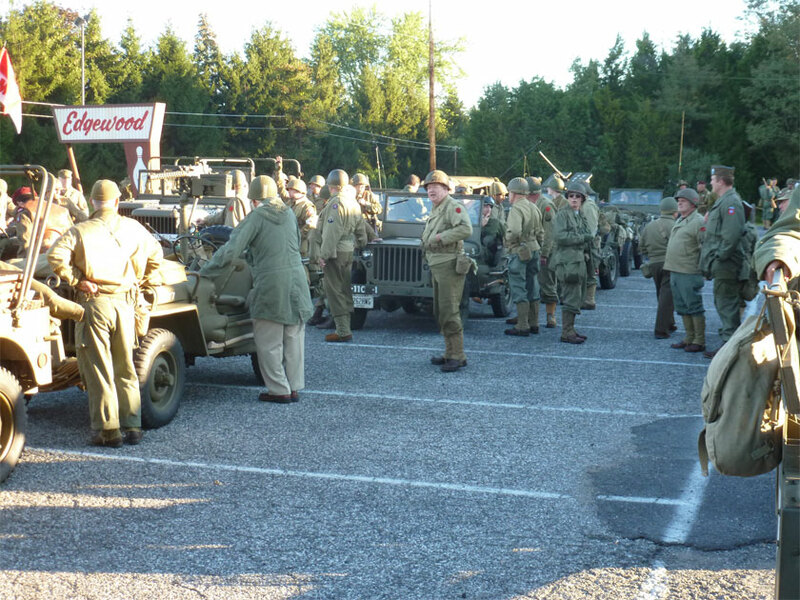 This is a wonderful WW2 event in Horsham, PA. I will be there and I recommend it for anyone who can attend. The medical display set up by Kurt Eberling Jr and his fellows was quite impressive. I really liked the color of his Jeep and Kurt told me that he bought his GPW from the Philippines. Apparently when the Philippine military realized there was a market for these Jeeps they repainted them and put them up for sale. 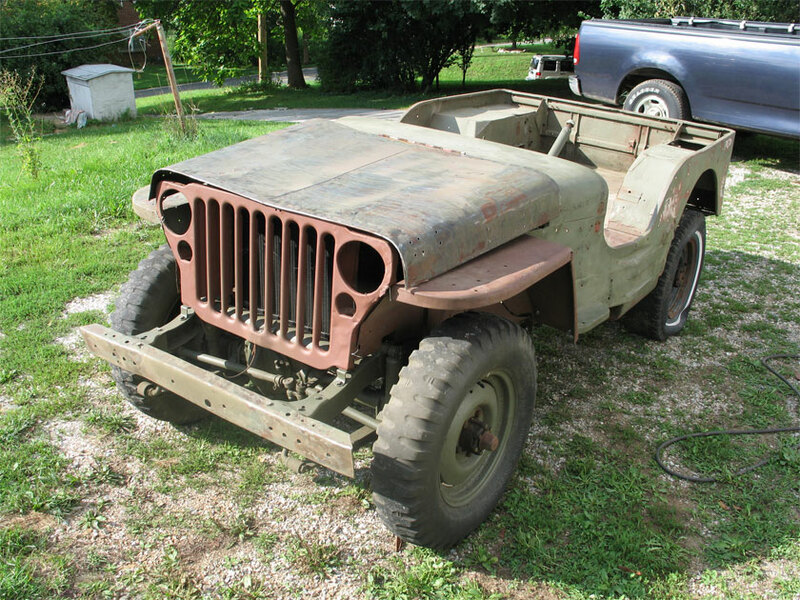 Oddly the only “olive drab” paint they could find was leftover Japanese WW2 paint, thus the color of Kurt’s Jeep. Towards the end of the show I spoke for a while with a WW2 veteran who was stationed in the Philippines. he said they had problems with the locals stealing the Jeeps. Their first solution was to drill the hood number into the rear fenders of the Jeeps. Then the locals started filling the holes with soap and drilling new holes. 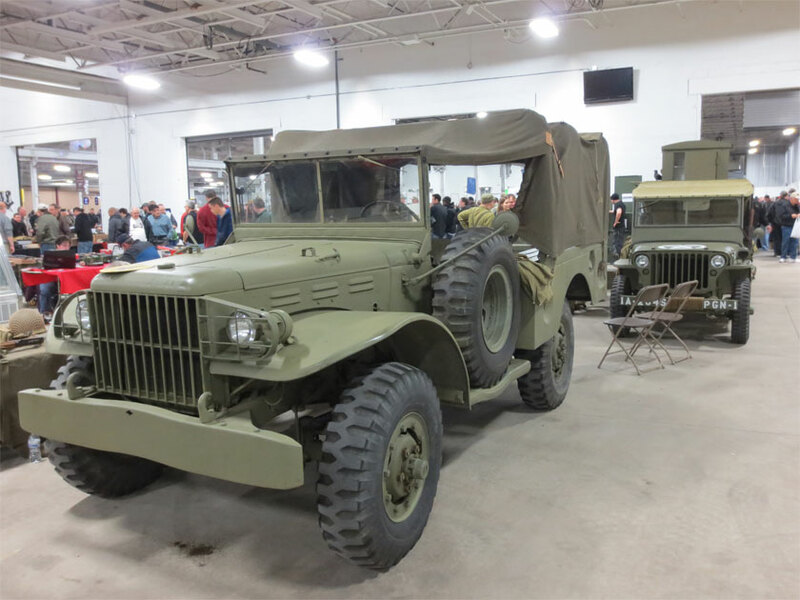 After that what the GI’s started doing was tipping their Jeeps up on their sides at night. He said the locals were too small to topple them back over so that ended up being their solution of the rest of their time stationed in the Philippines. A new jeep story that I had not heard! This was the first show of its kind at the Oaks. They plan to do it again next year. 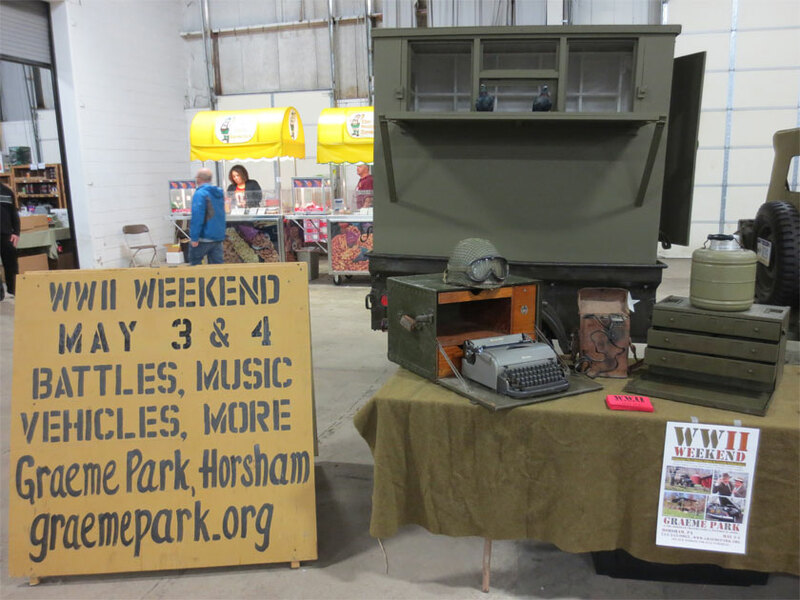 Around 30,000 people came through over the weekend and there was a wide array of items for sale. 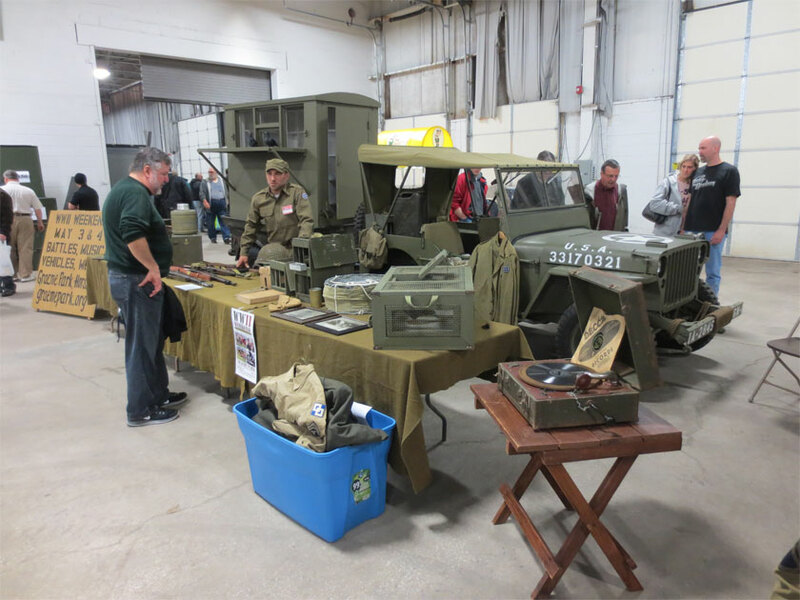 They plan to have more vehicle and reenactor displays next year and I definitely plan to attend. I really believe there are right and wrong reasons to do a vehicle restoration. The first two P’s encompass the right reasons, the last one covers the wrong reasons. First and foremost a personal connection is a solid reason to do a restoration. One customer of mine has his grandmother’s VW beetle, another has us working on his uncle’s CJ2A. 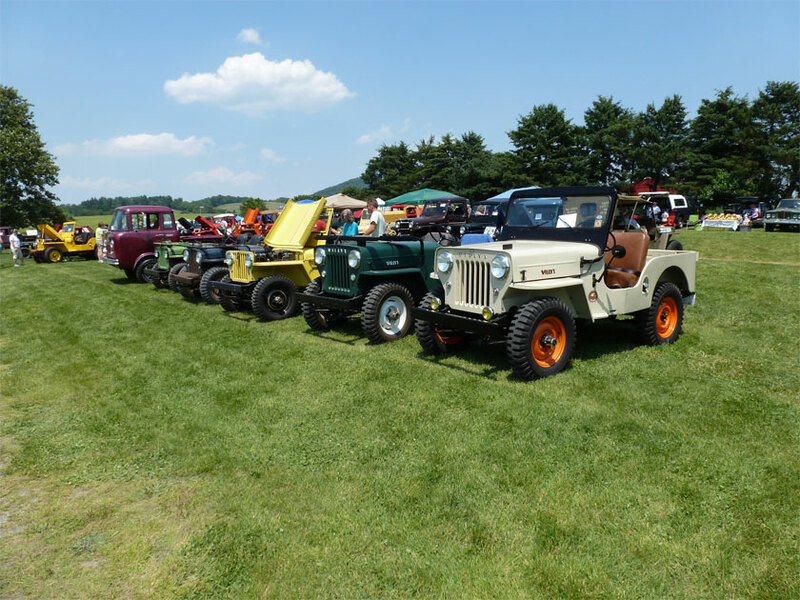 Even more have memories of their grandparents talking about Jeeps, or having an old WW2 Jeep on the farm. 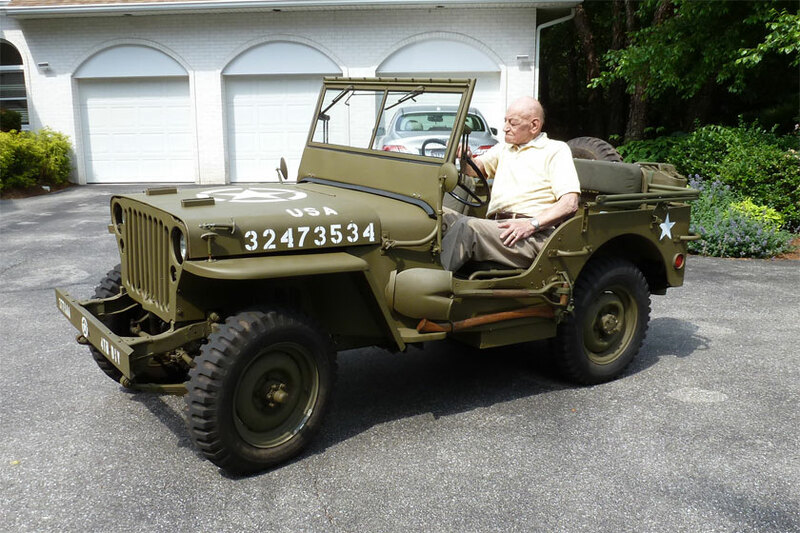 Some even remember driving a Jeep during the war. 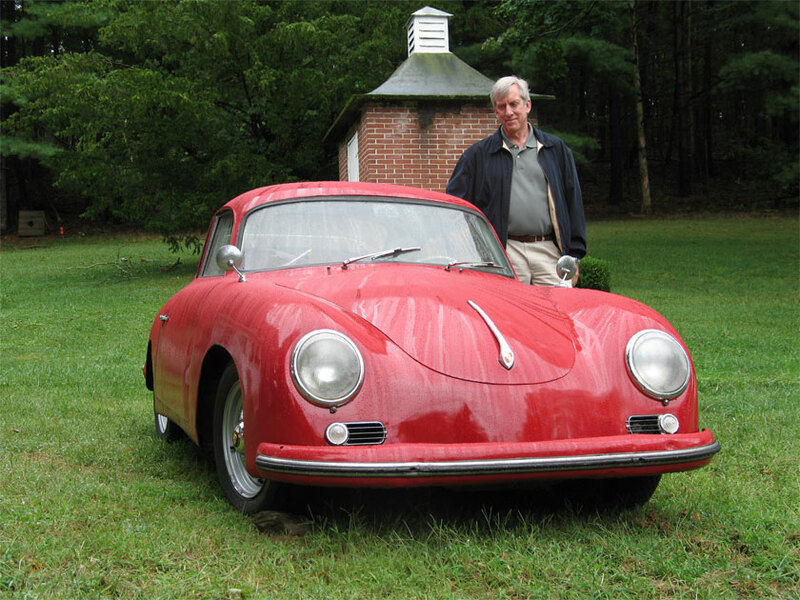 I grew up with my father’s 1956 Porsche always in the garage waiting for us to work on it. In 2010 I finally was able to bring it back to life with some of my former students. Dad always told stories of that car so for me this was a very personal connection. Seeing him with it in one piece again meant everything to me. He also spoke alot about his Bultaco motorcycle. He sold it to buy the Porsche. When I stumbled into a Bultaco I grabbed it. Once again seeing him ride off on the Bultaco was an amazing personal experience for me and I think him. 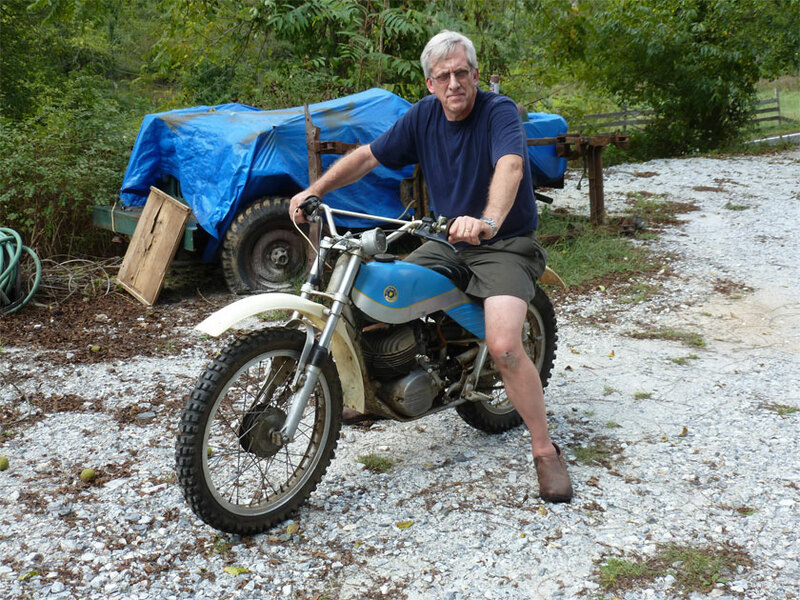 Dad had not seen another Bultaco since he sold his in 1966. If you have a personal connection to a vehicle then the price, pain, blood sweat and tears of a restoration is all worth it. A personal connection is in my opinion the best driving reason for a restoration of a vintage vehicle. Passion is the next best reason. If you have a deep passion for something then you will see through a project to bring it to life. Whether it be a tractor, a Jeep or any other vehicle. WW2 attracts a huge amount of interest. People become very passionate about the war. 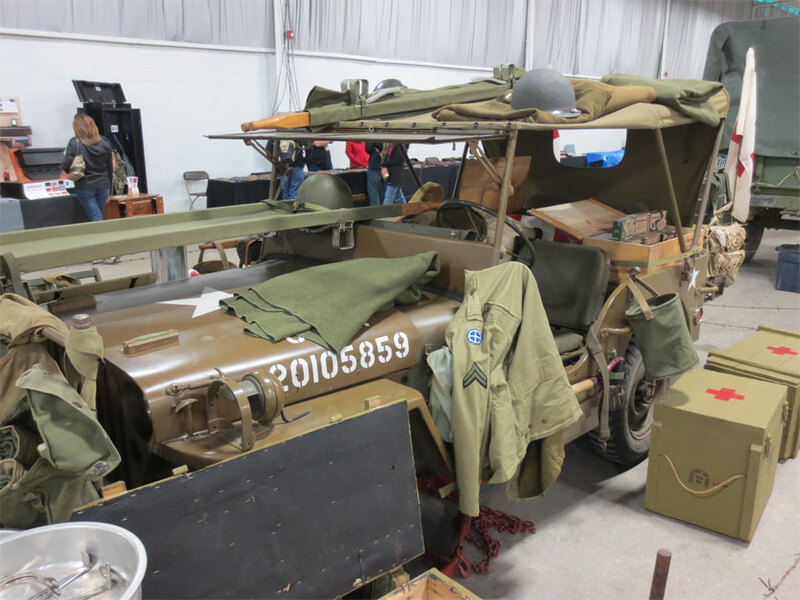 Their connection to that history comes through collecting artifacts, and for many the ultimate is to own and drive a WW2 Jeep. When I sense someone has a real passion I want to work with them just as much as with someone who has a personal connection. People are also just plain passionate about Jeeps. 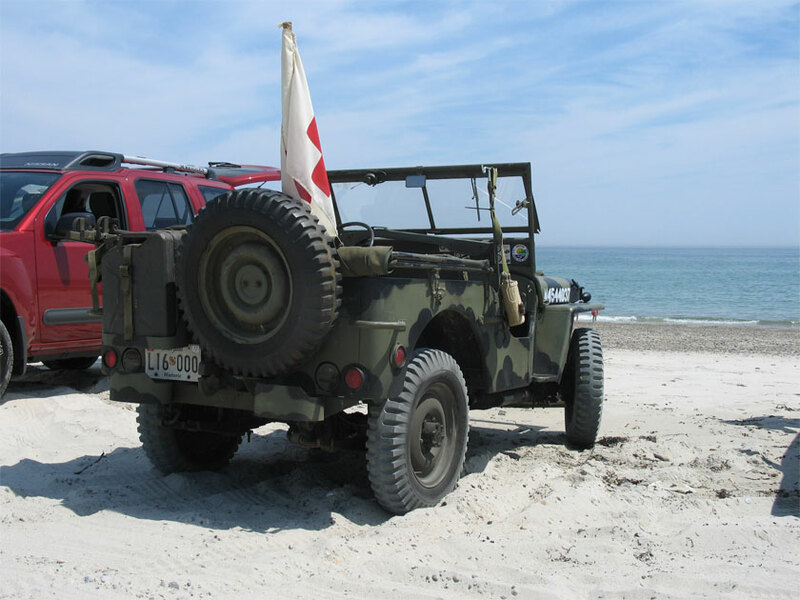 Something about Jeeps and VW Beetles inspires a wonderful following of people who care for, drive and pass on their love of these vehicles to their families. If you have a deep passion for a vehicle it will guide you through a restoration. Profit is a major reason NOT to do a restoration. I am going to bunch a few things under here too. I will include in this the strange belief that restoring a vehicle will be a much cheaper way to obtain the vehicle you want. That does not work…. Unless you are Scott Roberts, the man is a genius with vehicles. The cost of restoring a vehicle is usually far above the cost of just going out and buying a restored version of the same vehicle. 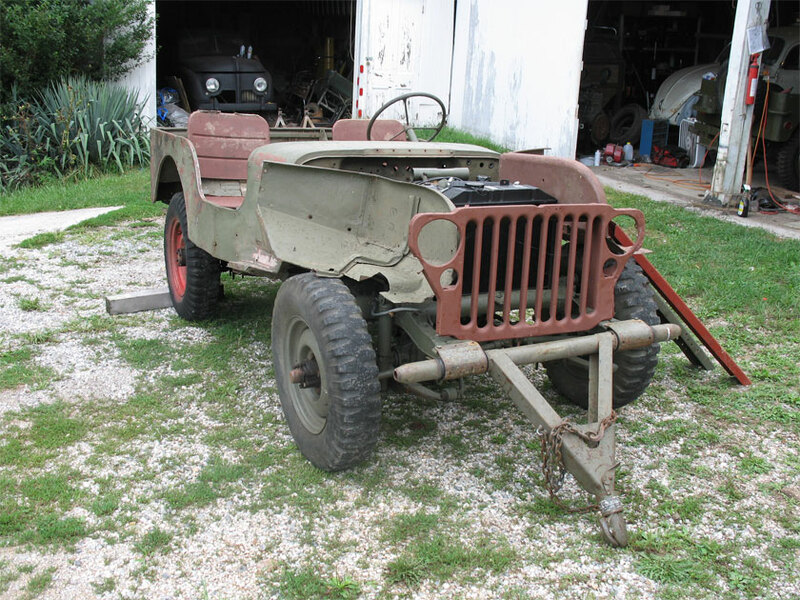 The parts involved in a WW2 Jeep can make restoring one on your own cost more than just buying a restored one outright. I have seen people even try to save money by buying rusty battered versions of the parts they need in hopes that this will save them money. That does not work at all. And unless you really know what you are doing and have alot of spare time, restoring a vehicle to re-sell is not going to work either. If you can do all the mechanical work, welding, painting etc.. then you may be fine. If you cannot then it just is not going to work out for you. You will end up trying to sell for $30,000 a vehicle worth $9,500. And yes the Jeep in these pictures was from someone involved in the third P of this lecture. If you are in it for the right reasons, then enjoy the trip, the experience of restoration and the end results are very rewarding.